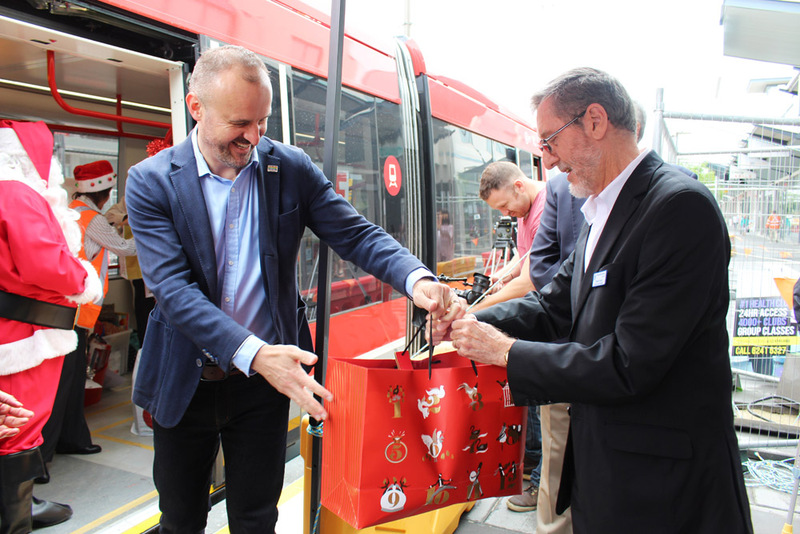 ACT Chief Minister Andrew Barr helps President of the St Vincent de Paul Society Canberra/Goulburn, Warwick Fulton unload some of the presents as Glenn Stockton, CEO, Canberra Metro, looks on. Photo St Vincent de Paul. 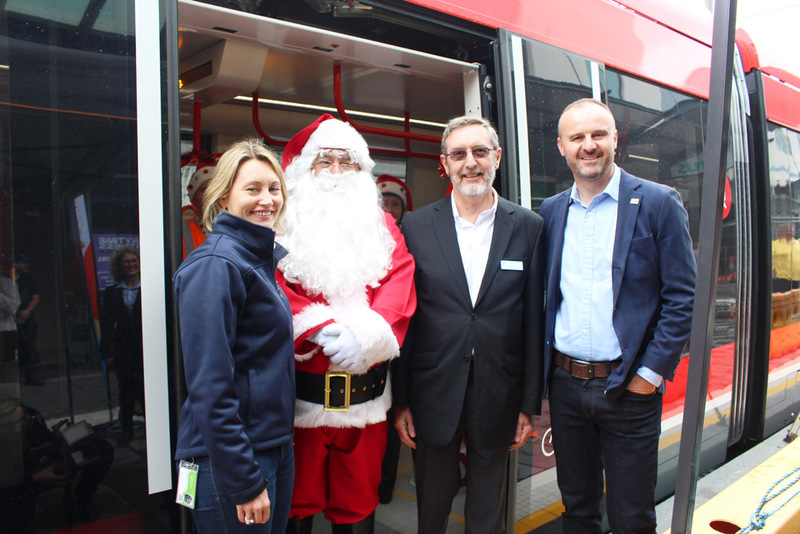 Canberra Metro and Transport Canberra have used the light rail to deliver their gifts from Vinnies Giving Tree Appeal for children in need, at Gungahlin Place today. 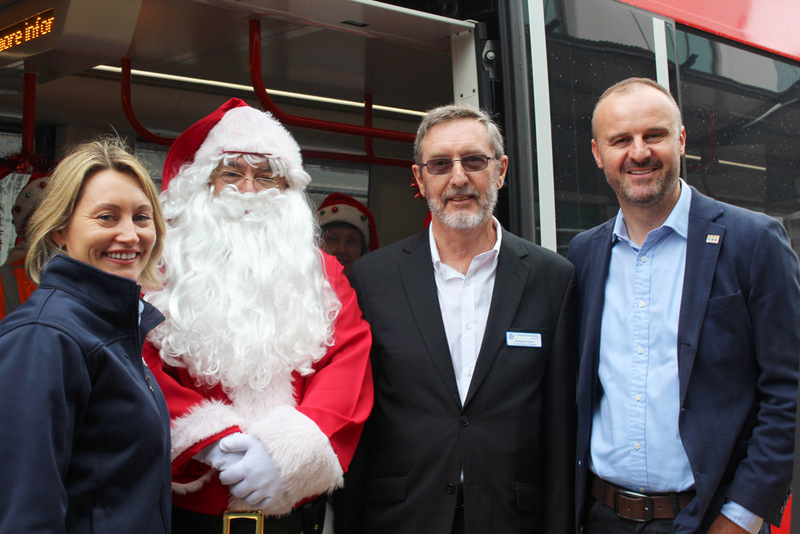 Santa delivered the gifts, donated by Transport Canberra & City Services employees and Canberra Metro employees and contractors, to Warwick Fulton, President of the St Vincent de Paul Society Canberra/Goulburn. 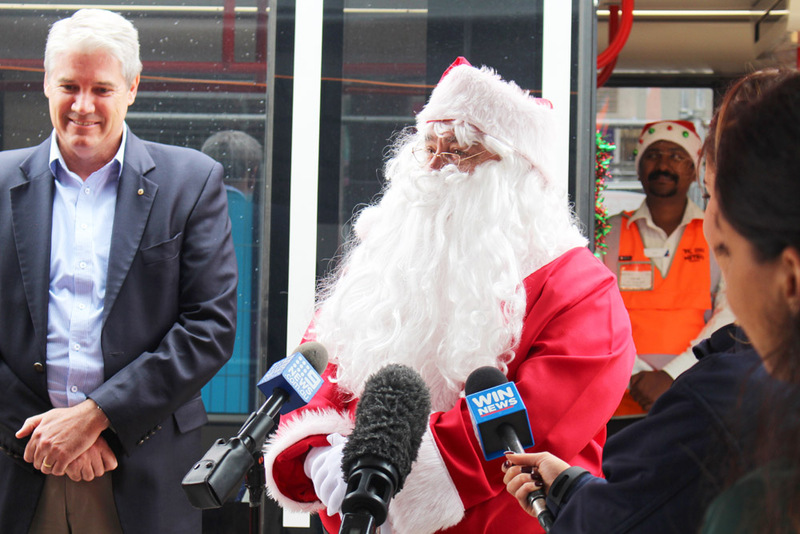 “The Society is grateful for all the gifts we receive from the public during our Christmas Appeal,” said Mr Fulton. 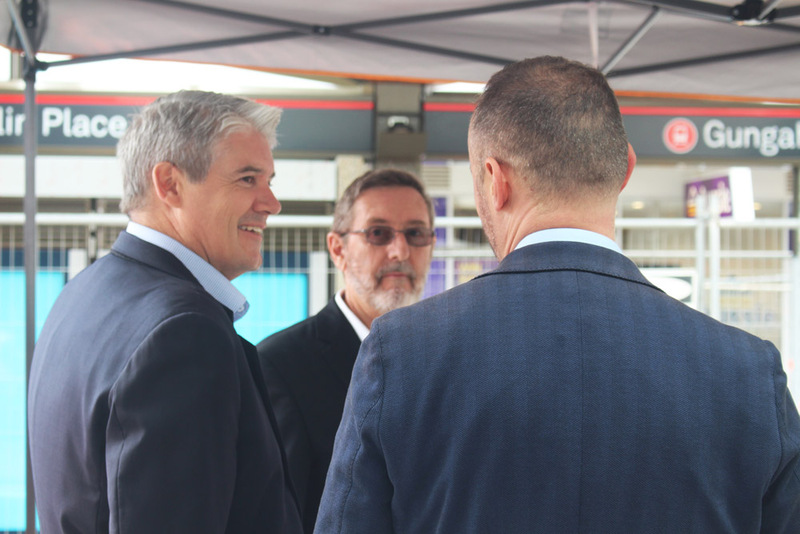 “This festive season, Vinnies is expecting to provide over $500,000 in emergency assistance to more than 3,000 families and individuals in need. As Christmas approaches, calls for help to the Society are expected to increase from now until January”, continued Mr Fulton. “When you are struggling to keep a roof over your head, finding money for gifts is nearly impossible. 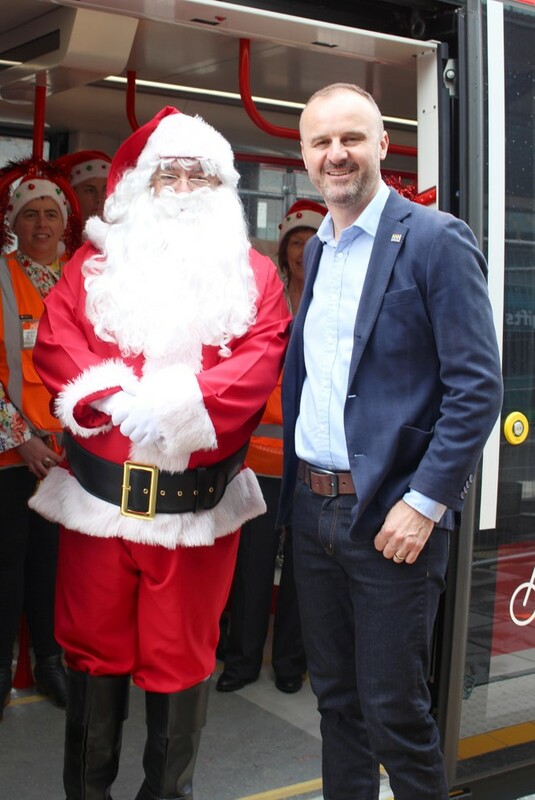 The Vinnies Christmas Appeal allows us to assist with rent and utilities, but families are also so appreciative of the gifts that can help bring joy to people at Christmas,” he said. 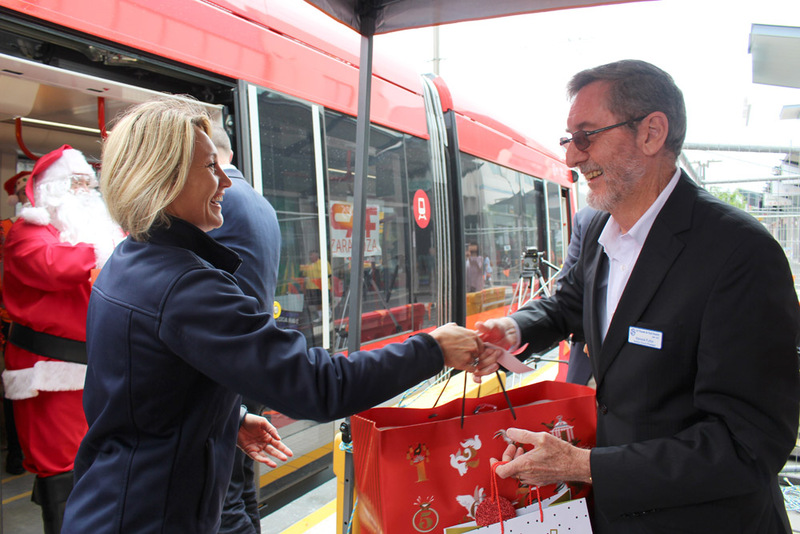 “The gifts we receive from Transport Canberra and Canberra Metro will be distributed to families we work with at our Family Services Christmas Party on the 21st December,” said Mr Fulton. 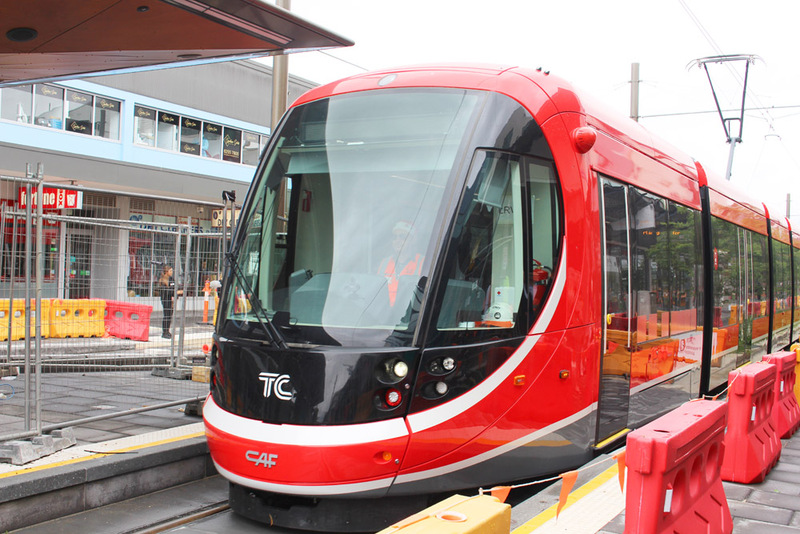 “The ACT Government is committed to helping the community with affordable options, and the light rail is part of an enhanced public transport network for Canberra families,” said Chief Minister Andrew Barr. 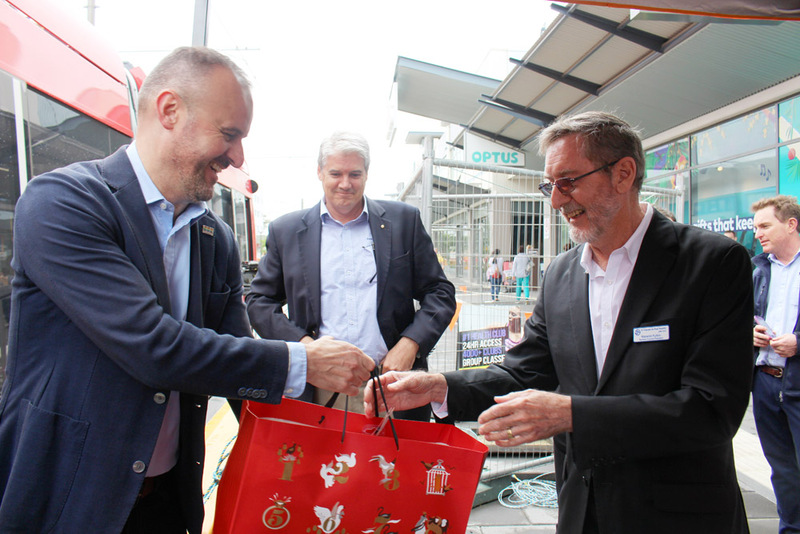 “We’re proud to support Vinnies Christmas Appeal, and delighted we could provide these gifts for people in need. 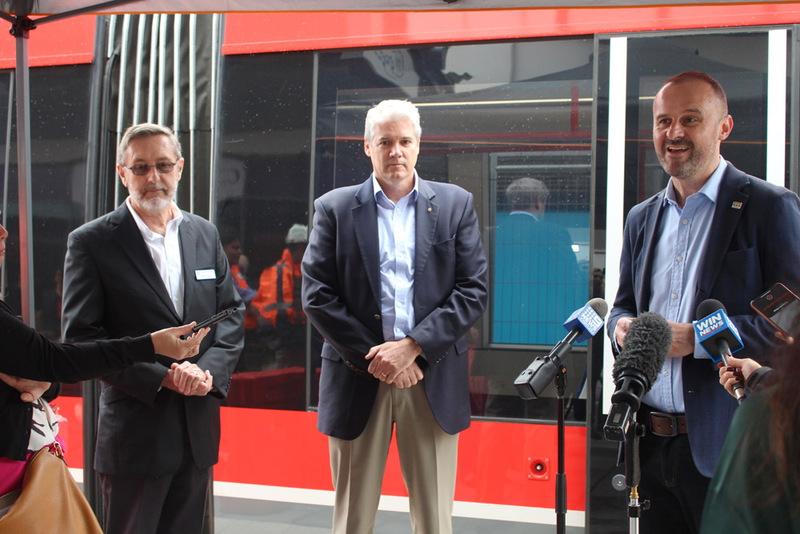 Thank you to our Transport Canberra & City Services and Canberra Metro employees and contractors for contributing these much-needed items. 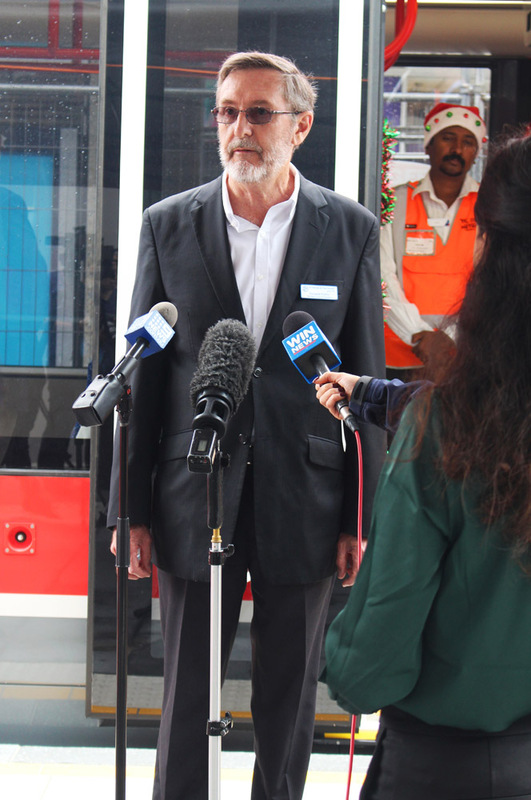 Canberra Metro is committed to delivering a world class light rail system that everyone in Canberra can be proud of, and we thank the community for their patience as we complete construction and prepare for the start of services early next year,” said Mr Stockton, CEO of Canberra Metro. 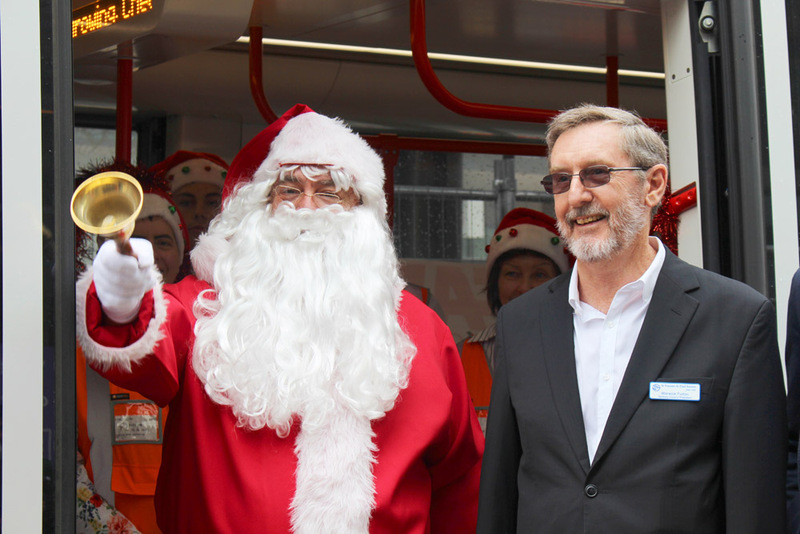 The Vinnies Christmas appeal ends on 31 January and there is still time to provide much needed support. 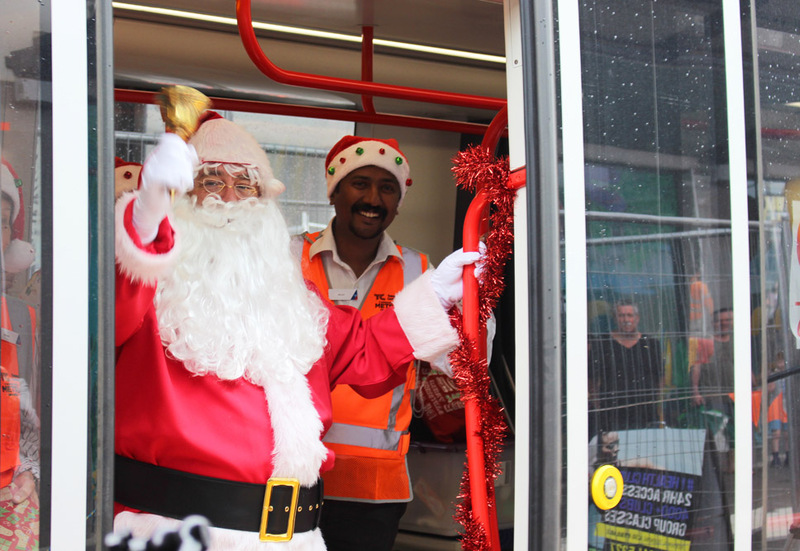 People can donate to the 2018 Vinnies Christmas Appeal by visiting any Vinnies shop, calling 13 18 12 or via vinnies.org.au/christmasappeal.